ATTENTION : This page is an archive, and is not up to date information. AntiCheat helps server admins easily identify and block malicious users by monitoring and analyzing the behavior of players. 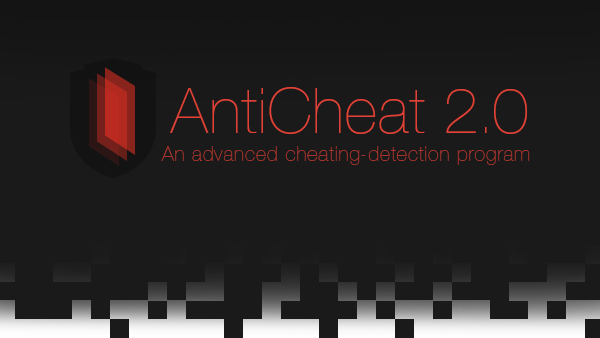 AntiCheat looks for tell-tale signs of hacked clients and implements limits into the game so that players cannot gain an advantage by hacking. For support of any kind, please join #anticheat on irc.esper.net. Myself and others will be happy to take a look at any issue you have and work to correct it. AntiCheat uses the Updater system to ensure that your plugin is always up-to-date with the latest protection. Updater is compliant with the update-checking guidelines imposed on all BukkitDev plugins which ensure all updates to your server are approved by BukkitDev Staff prior to being downloaded. If you wish to disable auto-updating, you may set the "auto-update" toggle in the config.yml to false. First, please consult the FAQ page to ensure your question hasn't already been answered before you ask. After you have done this, click here to visit the official AntiCheat bugtracker and file a bug report. You must properly give all necessary information detailed here for your issue to be considered. Feel free to join #anticheat on irc.esper.net and ping Gravity to report a game-breaking bug, or just to ask questions, get support, etc. If I'm not around and don't immediately see you, don't worry; I'll eventually see your message and get you a response (but you have to stick around!). Many thanks to JetBrains who have provided their IntelliJ IDE for development. I'm not paid to tell you that it's genuinely a great IDE that comes with my unfettered recommendation.